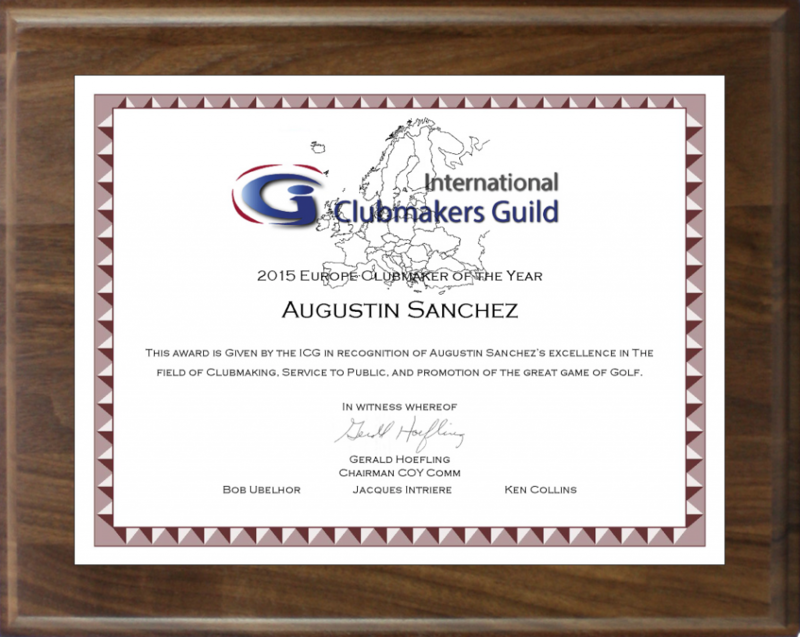 ICG Certified Member Agustin Sanchez is the 2015 ICG Europe Clubmaker of the Year. 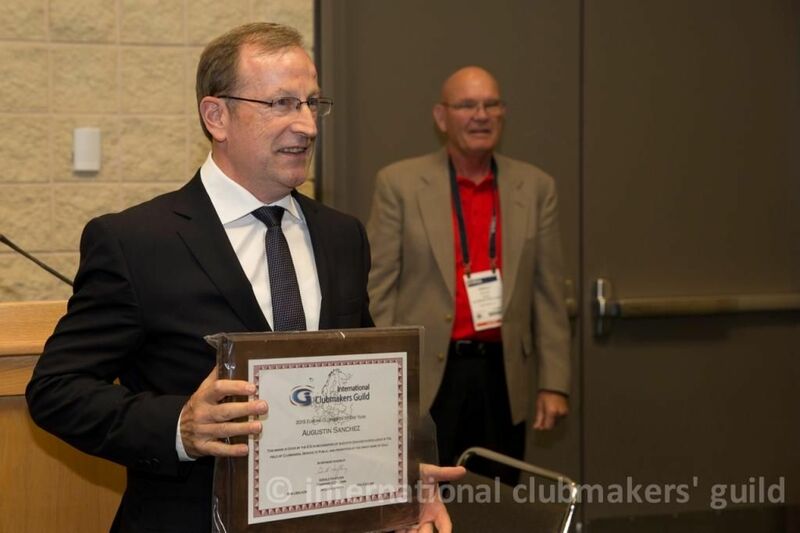 He is also one of three finalists for the 2015 ICG World Wide Clubmaker of the Year which will be announced at Room W209B at the PGA Show on January 21st. Agustin has been fitting and building golf clubs for 16 years. His clients include top level Spanish professionals and amateurs alike. He's also a supporter of junior golf and local amateurs. 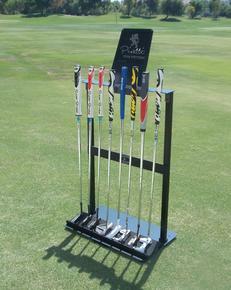 I have different processes depending the customer needs, but if we have time and I can do the complete process, first I do an interview with an actual set evaluation, after I fit the customer with my fitting cart and FlightScope, when we have seen with that configuration he coordinate better and get the best result, I compare it with the old clubs, I assemble one club, he test it, readjust if necessary and at the end I assemble the complete set. All my customers have the evaluation that have everything of the set (conservation of grips and rest, also characteristics, …) free for life time, I prefer lose a little of time sometimes, but they come to my home, because always I get some business. I have 250 m2, (2.700 ft2), ( about 800 fitting area + shop, 400 office, 800 stock and 700 workshop ). One net cage for fitting and a track for putters, I see in a monitor the FlightScope software and the video camera. My knowledge and customer care, “Myself” is what makes my job superior to others, instead of devices. My best advertising is word of mouth of my customers, about 75 percent of my new customers came by references of others customers, also I give a fitting, evaluation of material or a custom club as prize in the amateur tournaments of the courses in my area, that give me publicity at a time with many potential customers, also the opportunity that they come to collect the prize to my facilities and I can explain them the advantage of custom clubs. Also I participate in organizing senior events and tournaments, which allows me to relate with many of my customers. Golf is my life and my life is around golf. I work full time in golf, play many times as I can, I am a scholar of golf, I have wrote artices in magazines, I give talks about, fitting, materials and putting (my passion). Also I am involved in senior golf groups organizing activities and tournaments. Please click below to see pictures and videos of Agustin's shop. click on the links to learn more about Agustin's business and qualifications. Please click on the links to learn more about Agustin's business and qualifications.